Grave Plot: IVA. G. 21. 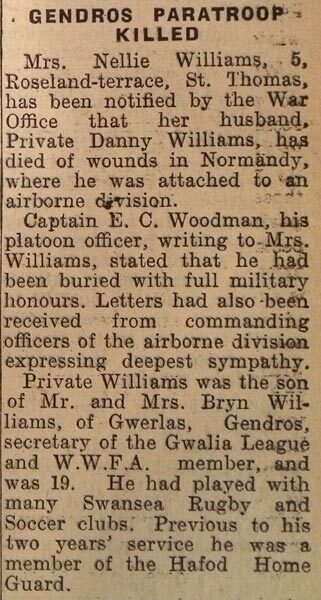 Additional Information: Son of Brynley and Alice Williams, of Swansea; husband of Ellen Elizabeth Williams, of St. Thomas, Swansea. Going by the information provided, there may be a small chance of being incorrect, if so please let me know.